I spent all day yesterday working outside my comfort zone. And that after a fitful night’s sleep when I was either staring at the ceiling with elements of the barn renovation circling mobile-like around my head or dreaming about them. Exhausting! Having taken down several oak beams and with new, engineered I-beams on order, I have to chisel out pockets in the wall for them to sit in. The dry earth that’s been removed gets remixed—with the addition of water and some straw—to seal them in. I’ll also need this “cob” to fix a new oak window frame. I’ve only ever worked with this material at friends’ houses (most recently on Bruno’s and Mélanie´s straw bale house build) and have never been in charge. The weight of responsibility is heavy: the mix must be right. Too much clay and I’ll have cracks, too much sand and it won’t hold together. My reference guide is Building With Cob: A Step-by-Step Guide by Adam Weismann and Katy Bryce. Perhaps I’m worrying too much, as I’m reusing the earth from a wall that’s already stood for over a hundred years but I ran a couple of tests anyway. The standard one is to half-fill a jar with the soil and top it up with water, shake vigorously to thoroughly mix the contents and leave to settle out. The other one involved making a fist-sized ball and then dropping it from waist-height. If the ball breaks up, there’s not enough clay and if it pancakes, too much. Mine held its shape (see photo at top). I then left it while I attended to other things, with the intention of taking a photo later. 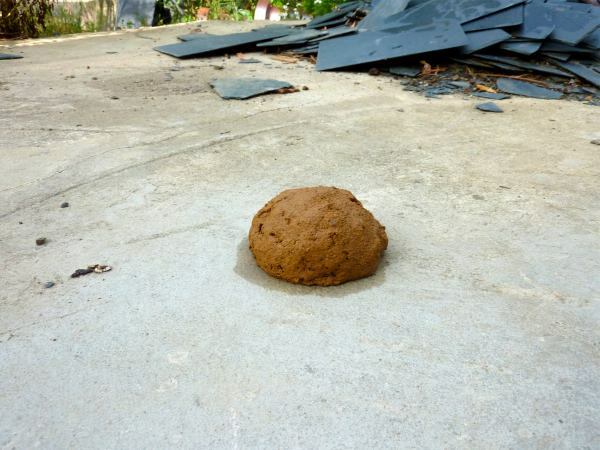 This abandoned ball of mud in the middle of a path caused nine-year-old neighbour Camille to laugh as she came to see what we were up to: another example of the eccentricities of her English neighbours. The next task was to assemble an oak frame that will straddle the cob wall and receive the window. Using some drawings from a local association dedicated to the preservation of old buildings with original building techniques, I’d fabricated the individual pieces some time ago. 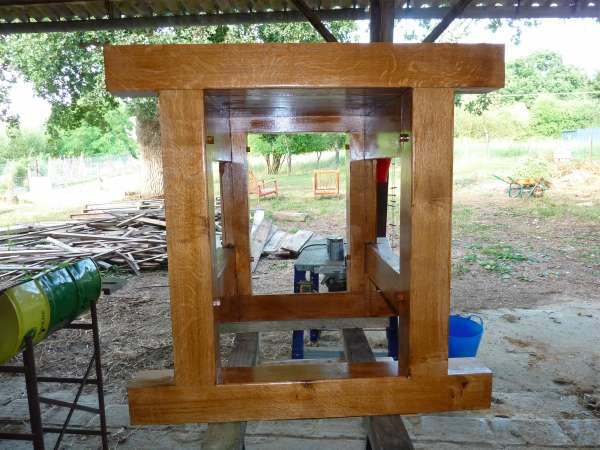 I got the same drawings out, cleaned out the mortises and shaved the tenons until I could dry fit everything. Dry fitting is an important step as I renumbered the pieces three times until I had them in the right position: not great for my self-confidence and making gluing up stressful, with much checking and re-checking of the frame against the drawings. And, as if that wasn't enough for one day, I had to design the stairs. One works out the “total rise” from finished floor height of the entrance hall to the same upstairs and divides it by 220mm (maximum individual rise for each step). One then rounds up to the nearest whole number (each step must be the same to avoid tripping and falling) and recalculates to obtain the actual rise, which will be less than 220mm. The treads, or “goings” are next. I need to avoid a beam that I can’t remove (maintaining 2 metres head-height) and then I can’t go too far over the width of the building, as that won’t leave enough room for passage to the bathroom. I had visions of future holidaymakers staggering, bleary-eyed, for a nocturnal wee and walking (falling!) straight down the stairs. After much measuring, drawing, pondering and surfing, I found the solution: a “Z” or “S” shaped winder. Have in mind a ceilidh or barn dance caller, this is how it goes: one step, three winders to the right, two steps, three winders to the left, two steps, do-si-do and take your partner by the hand. I then phoned Simon at stairbox.com, gave him the dimensions and my credit card number and relaxed. Being of a nervous disposition though, having scoffed lunch, I dragged Gabrielle out to the barn to confirm I had everything correct. I hadn’t! I might have remembered the thickness of the floor but I’d forgotten 200mm of floor joists … oops! A hurried phone call to Simon and we recalculated and added another step and all was well. A cold feeling ran down my spine as I imagined getting the stairs back to France, offering them up and finding them short. 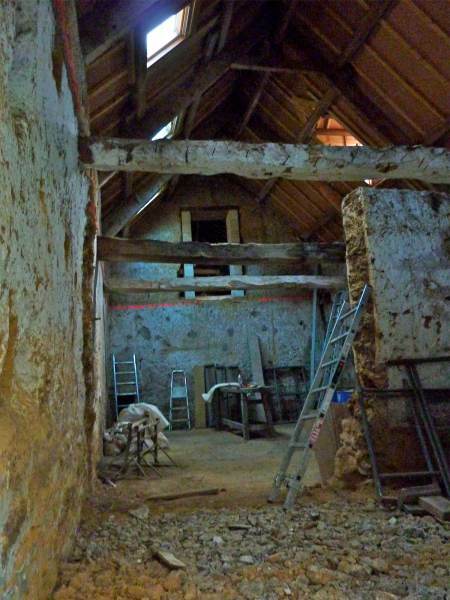 So, you see, the eco-renovation of our cob barn is well under way to provide further holiday accommodation but not without some tears and tantrums! 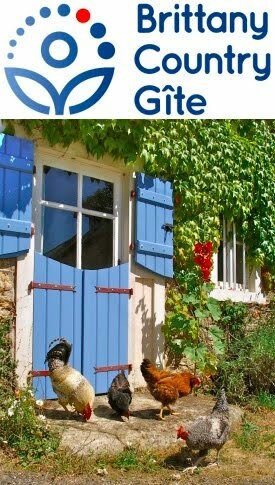 I am so glad I suggested you extended your new gite. I knew you'd enjoy all the angst. 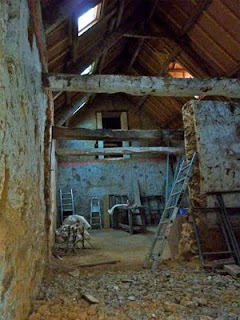 i love this kind of stuff, from the tests to see if the cooked cob sets up right, to the local historique bldg techniques drawings, to the photograph of the gorgeous interior of your barn. please post every detail with as many pix as you can take. it's aaaaaaaaaaall good. I'm not working today, having hurt my back trying to help someone move a very heavy and very ugly jukebox. So I'm taking the opportunity to tidy up my inbox and a pile of paperwork. I will post more details of the barn renovation as it proceeds Jeanette. I certainly won't be doing anything for a few days, until my back's better though.